PT Pos Indonesia (Persero) - POS Indonesia is the national postal company of Indonesia. 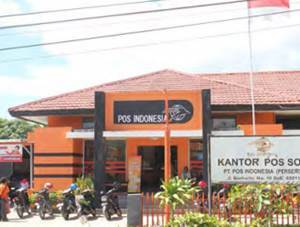 Pos Indonesia is a reputable state-owned company in Indonesia that is involved in postal and logistics services. Pos Indonesia has main responsible for providing postal service in Indonesia. Pos Indonesia is fully owned (100%) by the Government which represented by the Minister of State-Owned Enterprises (SOE). 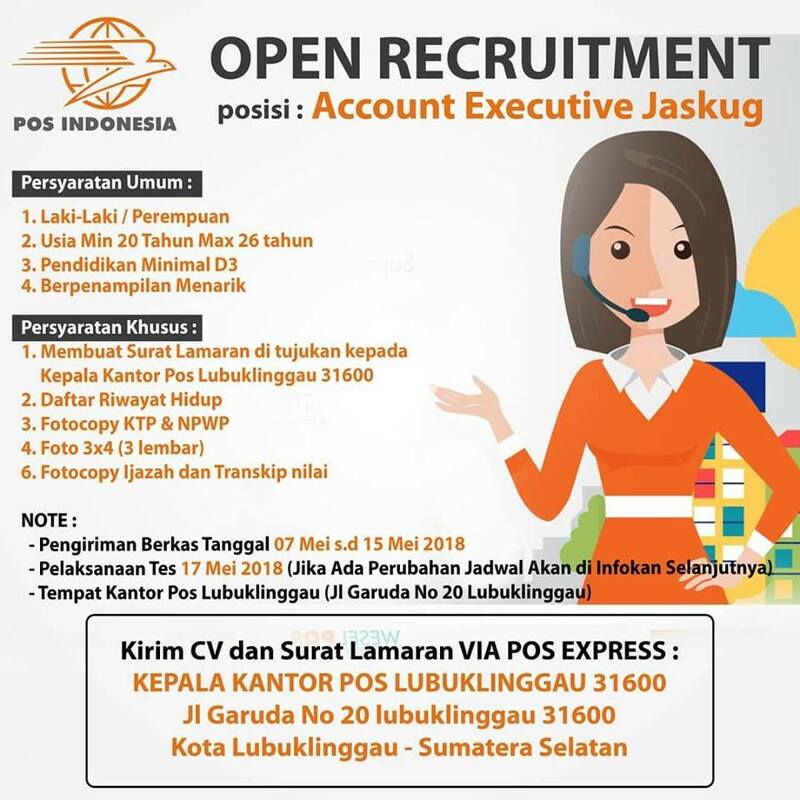 Pos Indonesia is domiciled in Bandung West Java and offers services through 11 regional offices, 4,657 post offices, 1,318 mobile services spread in all over Indonesia and served by 27,808 employees. Pos Indonesia also supported by 3 subsidiary companies and 3 affiliated companies; PT Pos Logistik Indonesia (logistic services), PT Bhakti Wasantara Net (engaged in internet sevice provider), PT Pos Properti Indonesia (property business), Dapenpos, Politeknik Pos Indonesia, and PT Bank Mandiri Taspen Pos. According to information found in PT Pos Indonesia (Persero) Annual Report 2016 as cited by JobsCDC.com, Pos Indonesia closed the business year of 2016 with a positive result marked by growth in total revenue and total net profit. Referring to its annual report, Pos Indonesia booked total revenue of Rp 4.45 trillion in 2016, up 5.20% from Rp 4.23 trillion in 2015. Pos Indonesia reported total net profit of Rp 203.28 billion in 2016. This total net profit figures reflected an increase significantly from Rp 29.99 billion in 2015. Male, maximum age of 24 years old on 1 July 2018. Not married and willing to not married during the contract period. Male, maximum age of 24 years old. Possess driving license class A (SIM A). JobsCDC.com now available on android device. Download now on Google Play here. Please be aware of recruitment fraud. The entire stage of this selection process is free of charge. PT Pos Indonesia (Persero) - SMA, D3, S1 Driver, Frontliner, Back Office POS Indonesia June 2018 will never ask for fees or upfront payments for any purposes during the recruitment process such as transportation and accommodation.